Autumn is one of the prettiest seasons of the year. Leaves turn shades of yellow, orange and burgundy when the temperature starts to drop, and this manicure captures all those glorious colors perfectly. Don't let your wardrobe be the only evidence of this sensational season. 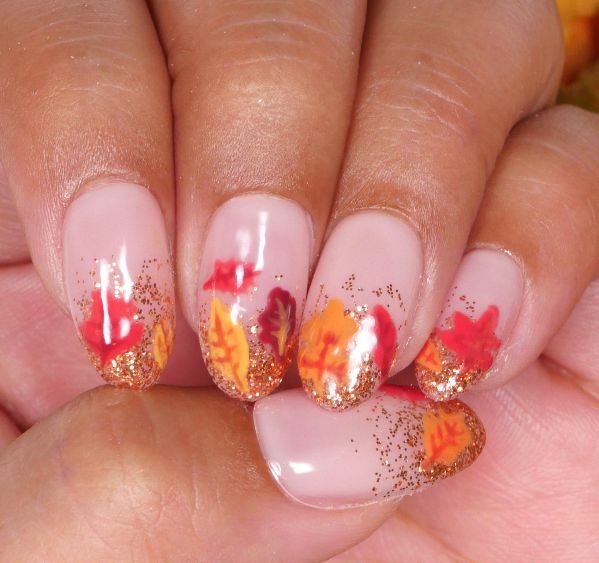 Bring autumn indoors on your nails. Although this design requires a little extra work in terms of drawing leaves of varying shapes, the effort is well worth it. Before trying out this design, watch the following tutorial. The leaves are different shapes, but they don't all need to match for the design to be original and festive. 1. Apply two coats of pale pink gel polish and cure with an LED or UV lamp. 2. 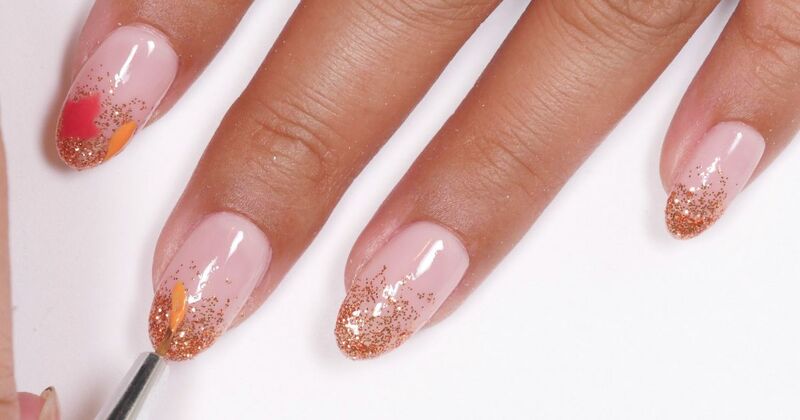 Apply glitter to the tip of each nail with a flat nail brush and then cure again. Add a little extra at the very tip for a more dramatic effect. 3. Draw two leaves on each nail with the fine-tipped brush. Alternate colors and shapes for variety. 4. To create a more realistic look, draw the veins on each individual leaf with a contrasting color and cure once more. 5. Seal the nails with a layer of clear gel top coat.